To celebrate the 50th anniversary of Pillsbury's famous Bake-Off Contest, America's most trusted name in cooking presents the most comprehensive, illustrated collection of prize-winning recipes from this beloved event. I might learn how to cook yet with all this software of yours. You can't believe how much it has helped. I've had friends come over ... and rave about the meals I prepared for them. It's not all that hard if you just follow the directions. In the end I have to tell them my secret, it's not talent - it's your software! 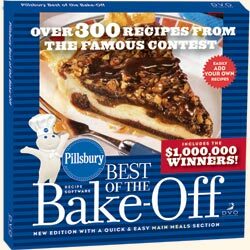 From savory main dishes to irresistible desserts, the 50th Anniversary Edition of Pillsbury Best of the Bake-Off CD features the "best of the best" including the $1,000,000-winning recipe of the 2000 Bake-Off event! For 50 years, people have looked to one cooking contest for the most delicious, the most exciting and the most uniquely American recipes this country's home cooks have to offer. 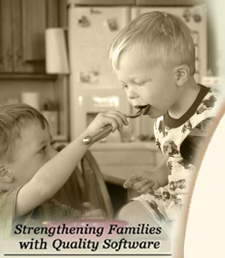 Pillsbury Best of the Bake-Off is a must have for every cook.